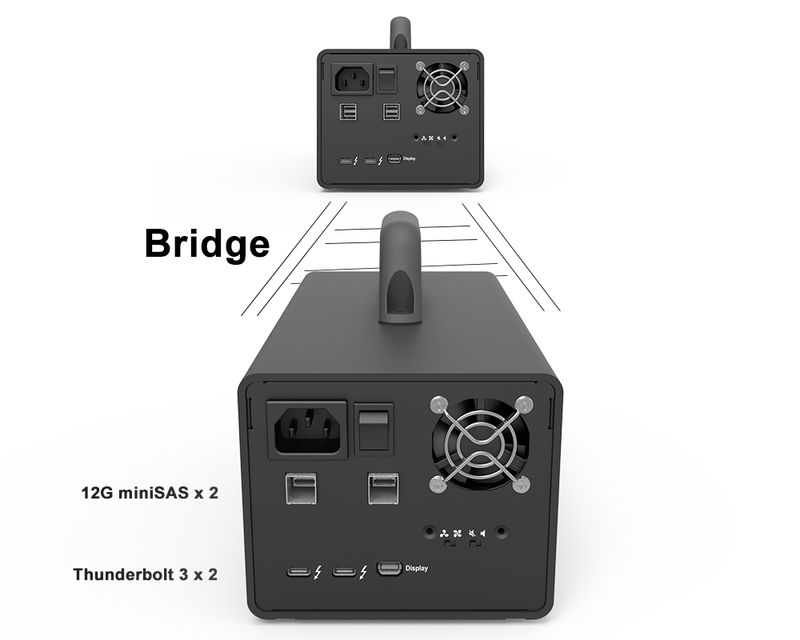 Thru its two miniSAS ports, AR0080-TB3 could let your Mac or PC connect to 8 more external SAS or SATA storage enclosures thru its two Thunderbolt 3 Host Interface Port. 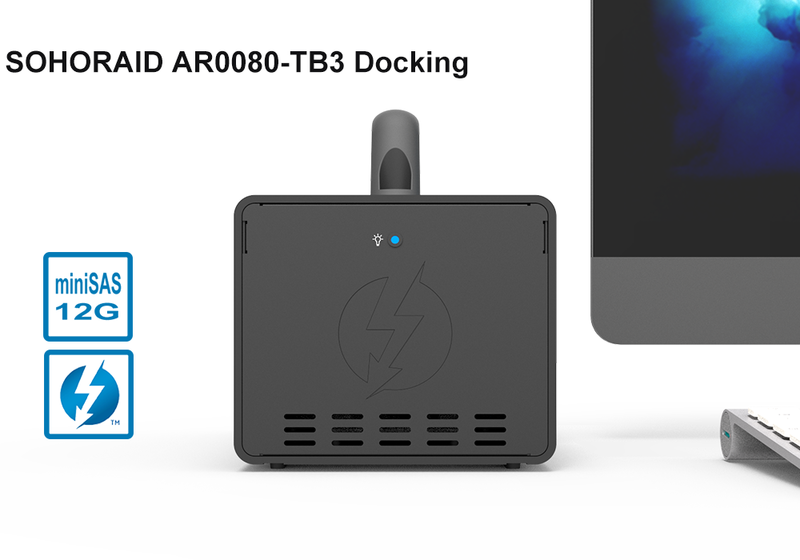 AR0080-TB3 is designed with the high efficiency hardware RAID features for RAID 0, 1, 5, 6, 10, 50, 60 and JBOD modes. 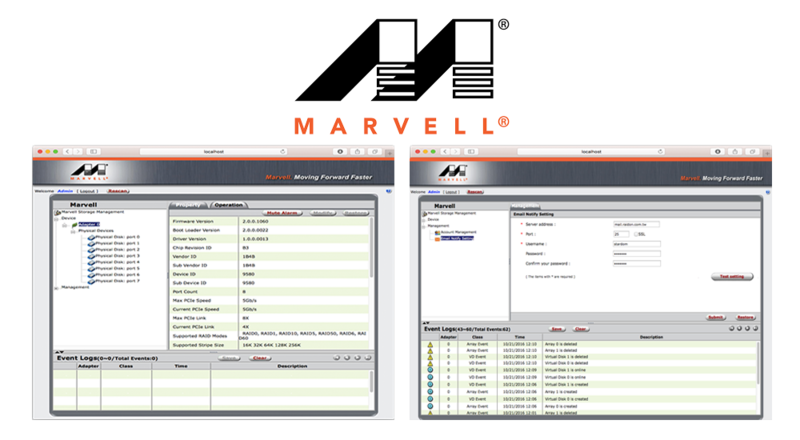 You could use an easy user interface tool of MSU, the Marvell GUI Utility, for setting up any of the RAID mode to fit into all your data protection or high data transfer requirements. 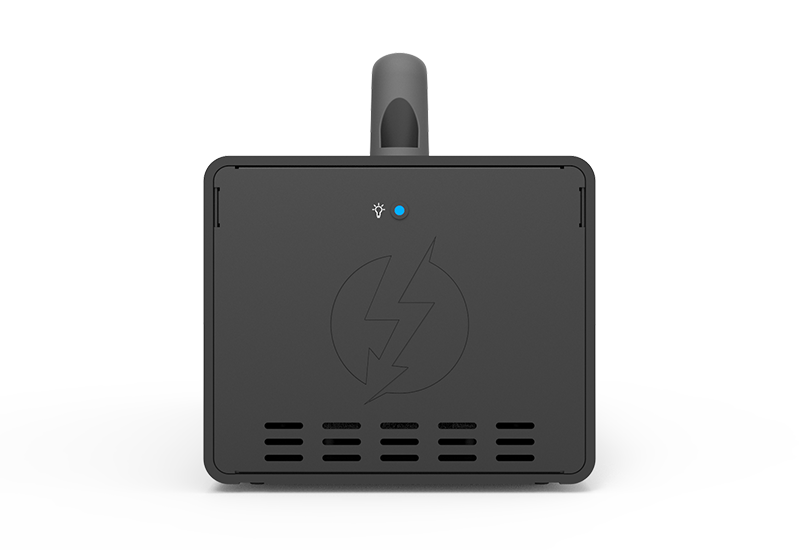 The Marvel MSU Utility could help monitoring the RAID status while your AR0080-TB3 is working, and alert you thru beeping sound from a loud buzzer, and sending you a warning message thru e-mail system. MSU also records all the product status in detailed and helps testing your HDD quality thru its built-in S.M.A.R.T. testing software for you. AR0080-TB3 use Marvell software, to adjust the hard drive and AR0080-TB3 transfer data via the "stripe size" function, so that AR0080-TB3 based on your use "stripe size" to achieve the most stable and fastest performance. The Power LED Indications at Front Bezel tell you if your storage product is working properly. 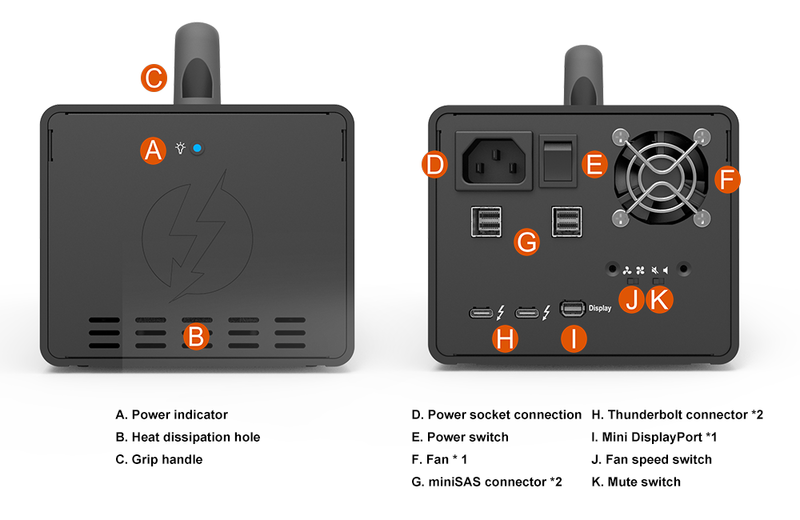 Also, AR0080-TB3 could let you adjust a lower fan speed thru a Fan Speed Control Switch at rear Bezel as well to meet a less power consumption and lower noise green environment! While the system temperature rises up to 50 degree-C (122 degree-F), MCU will bump up the fans with full speed; and once system temperature goes up to 55 degree-C (131 degree-F), the buzzer will alert. 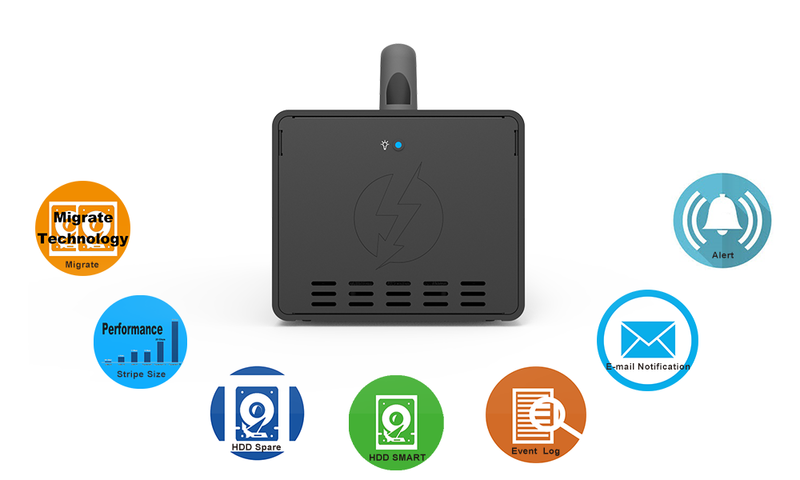 And you could manually adjust fan switch on the back, MCU would reduce the fan speed down to SMART speed for a better green user environment from a less fan noise and lower power consumption. 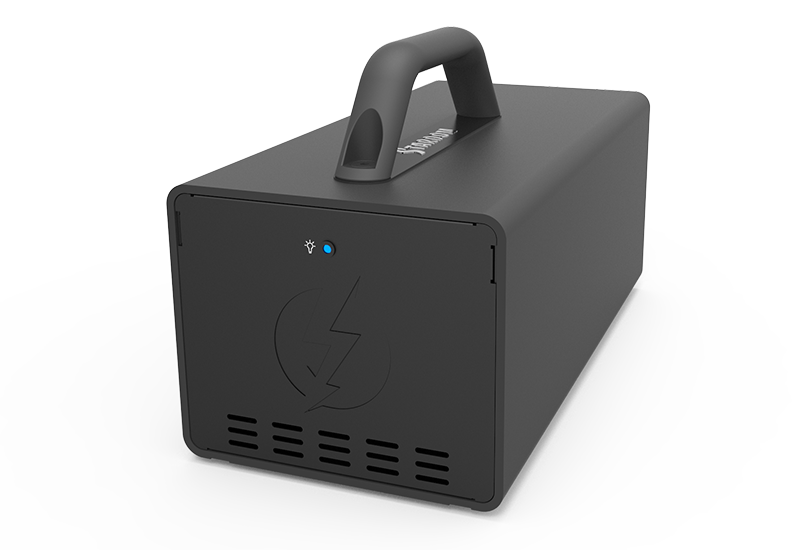 AR0080-TB3's extruded aluminum material with our fine sand-blasting finishing work gives a seamless, sleek design and provides a very rigid structure to protect your data. 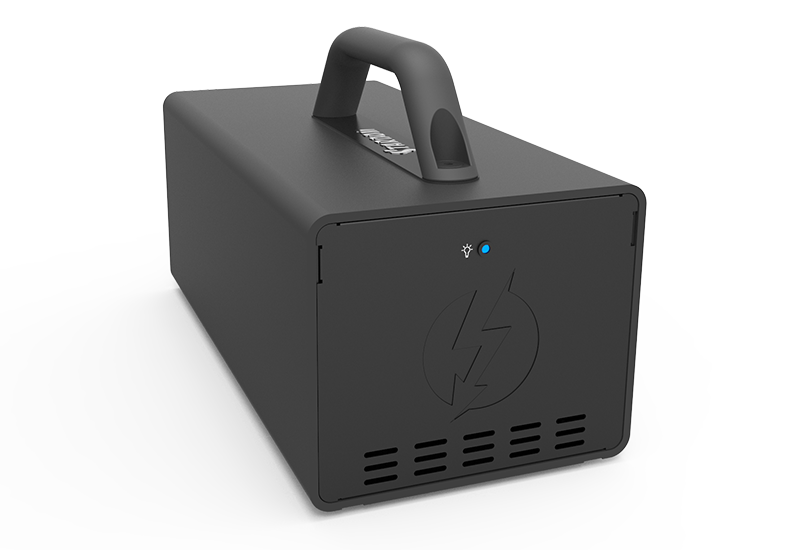 And its rigid chassis could let you carry it around to different desks for different works. 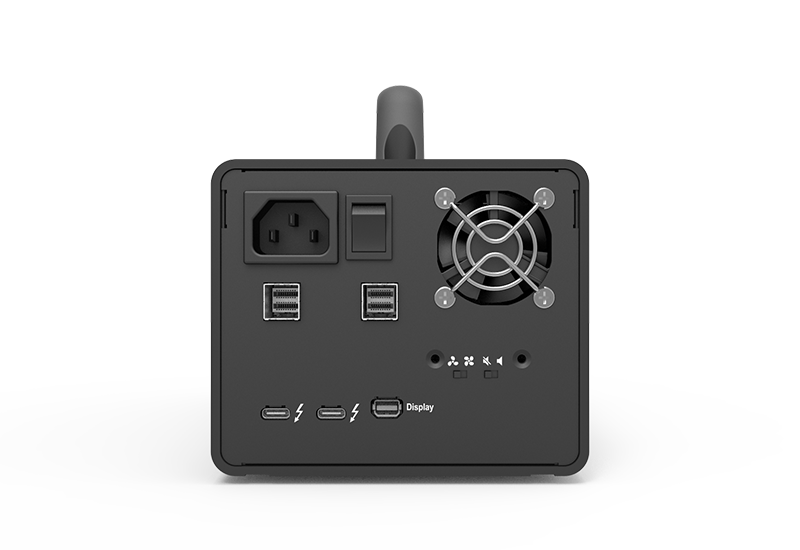 For field editing applications, the AR0080-TB3 can be made portable as it comes with a grip handle, which you can choose to install for making creative contents mobile convenient and less bulky. 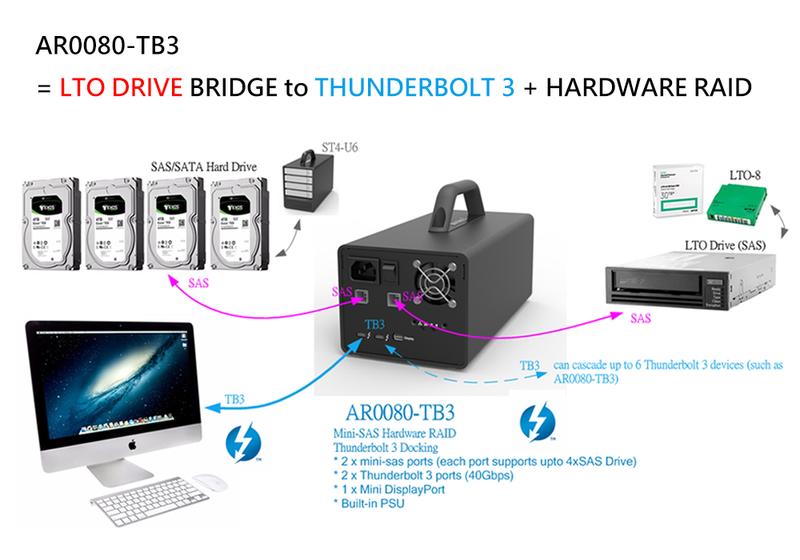 AR0080-TB3 helps connecting your Mac or PC to any miniSAS storage product. 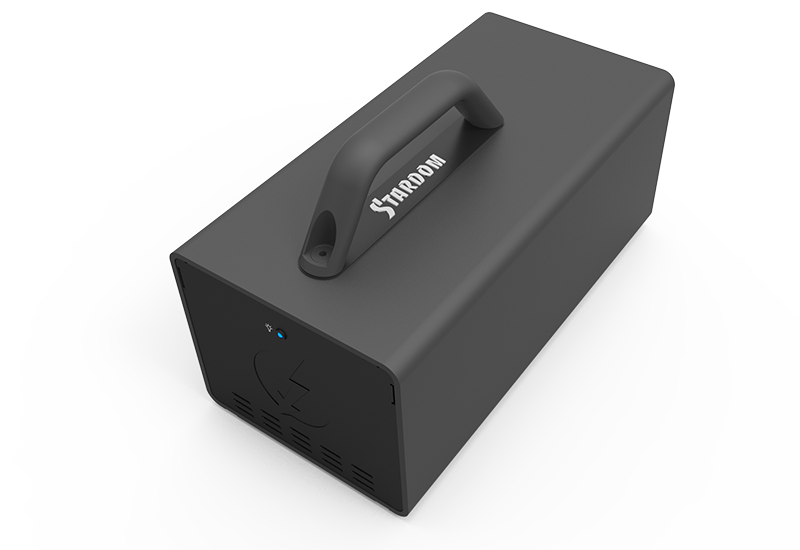 And once you buy and upgrade your new Mac or PC (with TB3/TB2 interface), you could still use all your existing miniSAS storage products from having this AR0080-TB3 docking product.